Nobody like germs or bacteria but unfortunately, they are everywhere and it’s almost impossible to escape them. Germs and bacteria are prone to spread around your home, work and play areas, therefore it’s imperative that we practice healthy habits to keep germs at bay. Germs can be passed from one person to another by simply and indirectly touching unclean surfaces and equipment. It is important to remember the following germ busting and prevention tips. And when you make a habit out of these tips, you will enjoy your home more, knowing that is is not making you and the rest of your family sick. 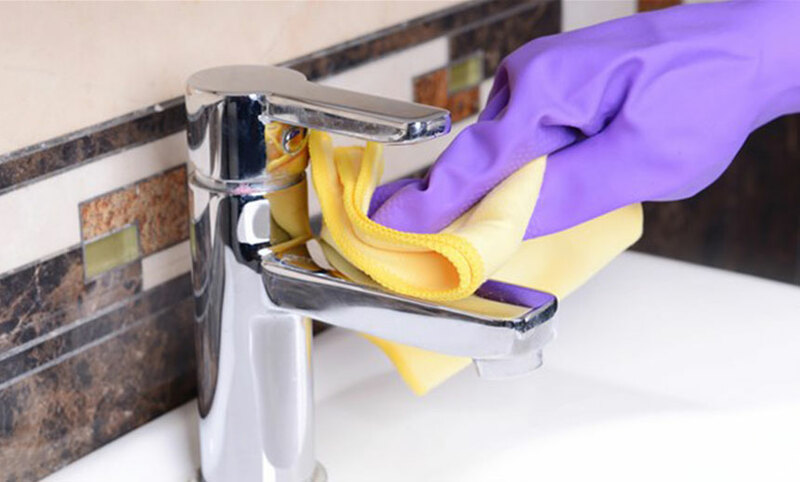 Many professional cleaning services make a point to use cleaning products that have antibacterial properties. This is to ensure that when they wipe down your surfaces, they not only remove dust and dirt, but they also kill any germs or organisms that may linger if only water was used to complete the job. Since most homeowners purchase their own cleaning products, take a look at the label and ensure that you are purchasing cleaning products that have antibacterial properties. When homeowners clean their homes it usually just consists of the usual tasks like vacuuming and dusting but there are other areas of your home that require attention that will help stop the spread of germs. Professional cleaning companies will generally wipe down your doors, light switches, handles and other items your family would constantly touch such as tv remotes, fridge and oven handles. These items harbour germs as they are in direct contact with the hands of many people in your home. This step is particularly important when a family member has been unwell. Professional cleaners do an incredible job in sanitising your home, but there may still be airborne viruses that can linger days after someone has been unwell. Airing out rooms can help rid your rooms of these viruses. Even though mopping and vacuuming your floors is part of routine cleaning, how often do you wash your family’s footwear? By washing your family’s footwear regularly you can help reduce the amount of dirt and germs that are carried into your home on the soles of your footwear. How often do you clean your cleaning materials? If you are like most, then the answer is not very often. But cleaning materials (cloths, brooms, mops) can all barbour bacteria if they are not cleaned properly. Every once in awhile, gather your cleaning materials and swirl them in boiling water. This will only work on items that tolerate boiling water. Items that cannot be placed in boiling water can be sterilised through steaming, which to can get rid of microbes. If you see black spots on your cleaning items, chuck them out – this is known as mould and can make your family unwell. Daily exposure to cleaning products is not particularly healthy for you. If you want to clean your house on a daily basis, use a natural solution that you can pour into a spray bottle and spray strategically around your house when necessary. To make, use one part water mixed with one part natural solution (vinegar, tea tree oil, lemon etc). This can be used for households with small children. For further information, feel free to contact us on 0411 069 938. You can also fill in our online enquiry form. For non-emergencies, we are available seven days per week from 8am – 8pm. Regardless of your domestic or commercial cleaning needs, Dom Care Cleaning, experts in exit cleaning in Brisbane is here to help.